When cutting cables, put a drop of superglue on the cable and let it set, then cut the cable. The superglue prevents the cable from fraying, and it does the job really well, even without a wire cap. The best superglue to use is the liquid type as capillary action will allow the superglue to get in between all the individual strands of wire in the cable. 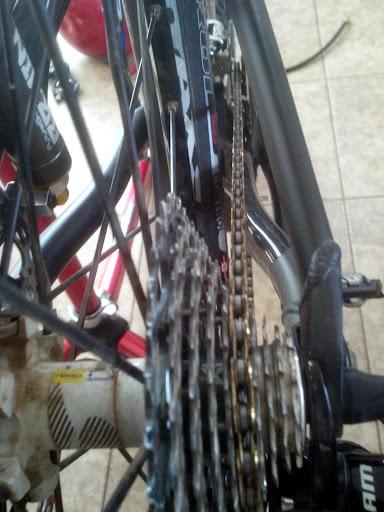 When installing a new crankset and/or cassette, it's important that you double check the chainline. 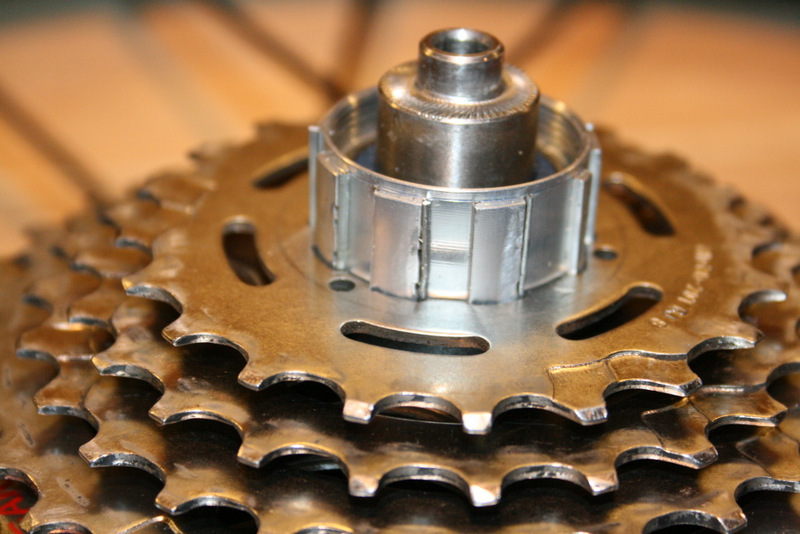 This refers to the imaginary line from the chainrings to approximately the center of the rear cassette. 1. Set the rear derailleur to the middle gear (#5 on a 9 speed, #5 or #6 on a 10-speed). 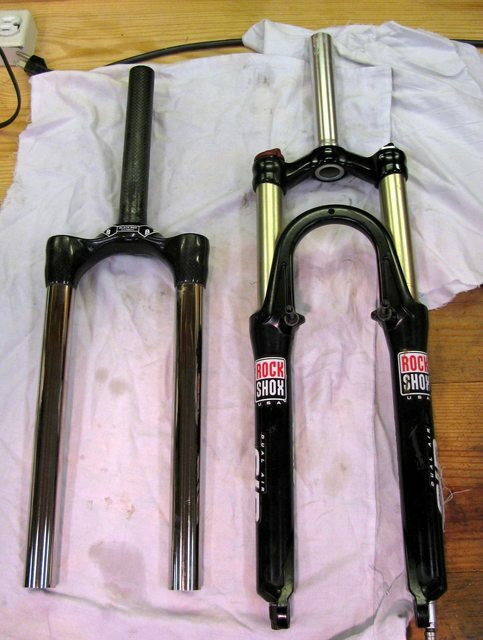 Here's a simple DIY for all you beginners just starting out at working on your bike. 2. Allen (hex) keys, if your pedals have an Allen socket on the shaft. 3. A tiny bit of grease. 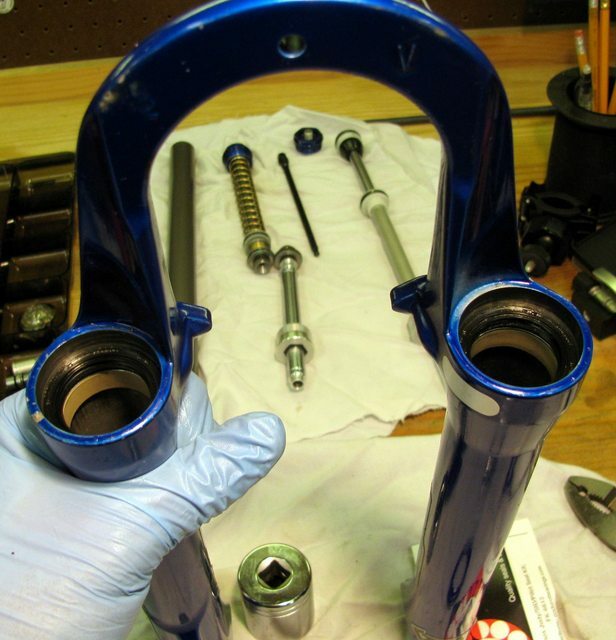 Sti: You know what happens when you mount a steel cassette onto an aluminum freehub body - the cogs will chew deep and you will have troubles removing them. Marpilli solved this problem with a creative solution - DIY steel liners.